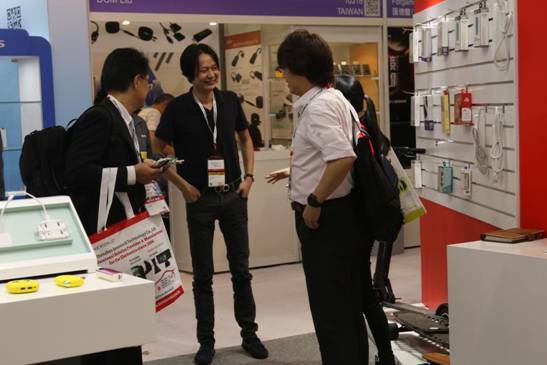 The world’s largest electronics sourcing show: Hong Kong Global Sources Consumer Electronics. Held on October 11-14, 2018 AsiaWorld-Expo, Hong Kong. DBK participated in 8 Hall 18 and came to a successful close. 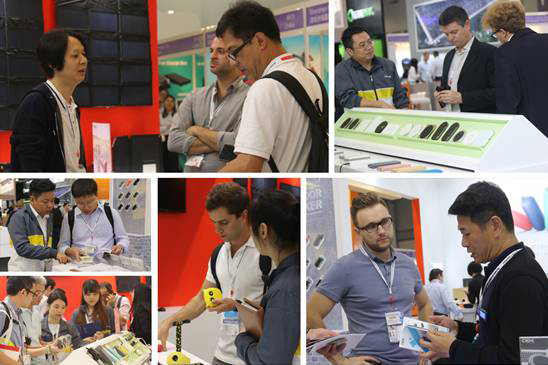 Showcased lots of new products, including PD Power Bank, Good Compatible Wireless Charger, PD Car Charger, multi-function HUB, Smart pen, Smart weight scale, intelligent socket and so on. These frontier technology products have attracted many customers to consult. DBK President Terry Tseng, Vice President Hamilton Lai and Head of sales Owen Xue all participate in answering questions for clients during the exhibition. 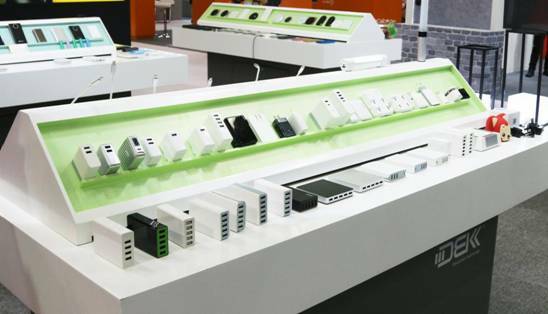 The booth of Shenzhen DBK Electronics Co.,LTD is located in hall 8 of the mobile electronics exhibition hall. 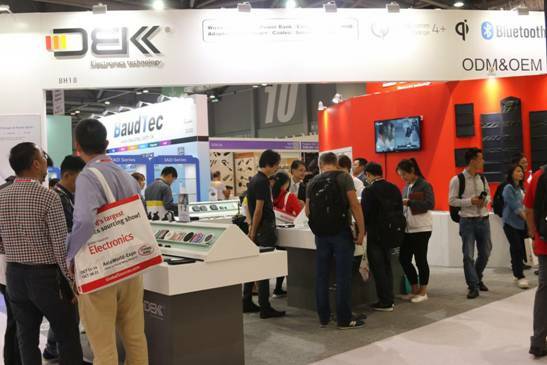 The dominant hue is orange red which root in DBK logo and the visual and simple design attracted the customers in the exhibition hall. 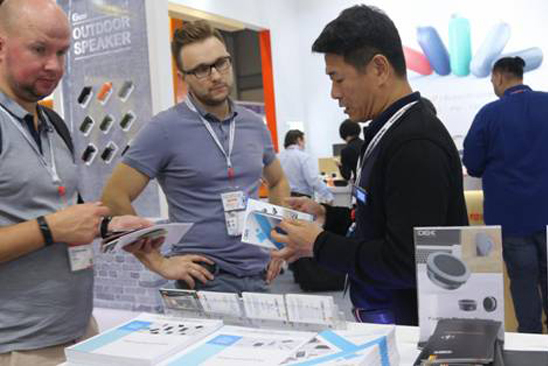 At this exhibition, DBK Car wireless charging, new wireless charging products and HUB, solar panels, cartoon power bank, multi-port adaptors, etc., have been favored by many customers. 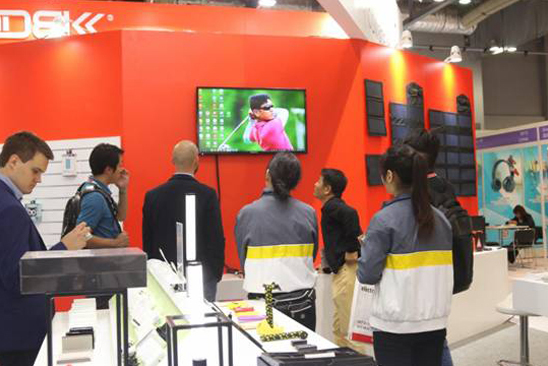 The exhibition colleagues patiently and carefully answered questions for customers. No.3 President Terry Tseng chat with customers. DBK families with their own ODM/OEM mode for users from all over the world, after years of accumulation and precipitation DBK has strong technical strength, always stay at the forefront of the market, satisfy the needs of customers from all over the world. 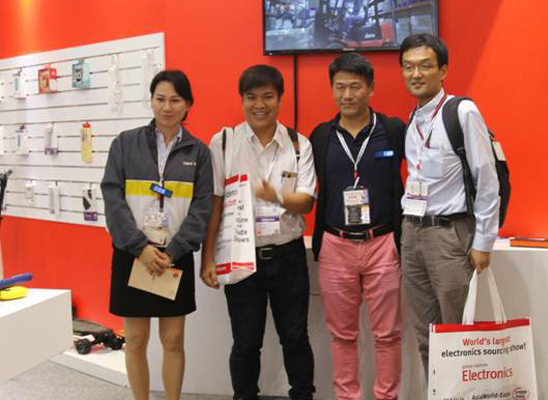 In this exhibition, we have received customer orders and product improvement suggestions from around the world. We believe that improvement is a leap in texture every time, customers advice propel our team to move forward.